What's the right knife style for your lifestyle? A knife can come in handy in just about any situation, but choosing the right one for your needs can be challenging. Take our six-question quiz to find out what kind of blade might suit you best. 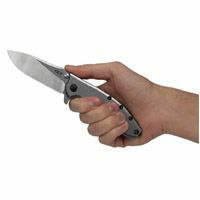 Here are five key things you need to do – and one to avoid – to keep your everyday carry knife in top condition. 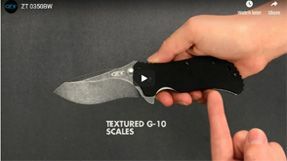 Learn how Zero Tolerance Knives are designed and produced in Oregon with the end user in mind. 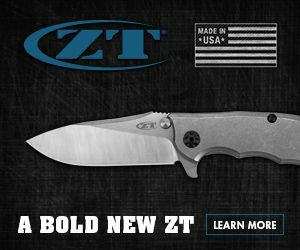 See key features of the American-made Zero Tolerance 0350BW folding knife. PoliceOne does not send unsolicited messages. You are receiving this email because you have signed up for PoliceOne and subscribed to this newsletter. Visit our Customer Support page to report any SUBSCRIPTION, LOGIN or E-MAIL PROBLEMS. You are receiving this email because you have signed up for PoliceOne and subscribed to this newsletter. Click here to unsubscribe.